Well, it’s been a while. Switching jobs will do that to you. 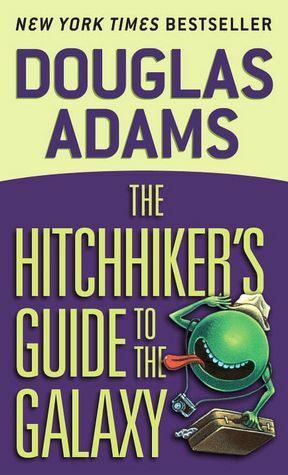 Now I’m back and I thought how better to celebrate Towel Day than to review The Hitchhiker’s Guide to the Galaxy by the Douglas Adams? Hitchhiker’s Guide starts out with the relatively unassuming Arthur Dent (whom I now mentally picture as Martin Freeman. The movie sucked compared to the book but Freeman was a great Arthur Dent) going about his morning one day before suddenly realizing that his house is about to be torn town. So he lays in front of the bulldozers and refused to move…until his friend Ford Prefect (you mean this isn’t an unassuming earth name?) came to drag him to the pub. At something like 10am. Ford, as you may have guessed, is not from Guildford as previously claimed. No, he’s from a small planet near Betelgeuse and of all the people on earth he could save from the coming Vogon construction fleet, he chooses Arthur. I think that says a lot about what Ford really thinks of him. I mean, Ford really could have just left him to die with the rest of humanity, but he didn’t. Ford takes Arthur to the pub and tries to get him to drink several pints of beer in order to prepare himself for what happens next. Arthur is too miserable about his house to really pay attention. He does, however, notice when the giant space cubes come floating through the atmosphere. Ford manages to get him a towel while Arthur is gibbering and the pair are picked up by the cooks on board just before destruction, simply because it will annoy the Vogons. And really, who doesn’t want to annoy Vogons? We’re also introduced to a little creature called the Babel Fish. Those of you familiar with the the website…this is where the name comes from. It’s a little yellow fish like creature that goes in your ear (an image which always gives me the willies thanks to Star Trek II) and translates for you. It lives off the brainwaves put out by other people and excretes (ew) a translation matrix into your brain. Organic universal translator. Meanwhile, all the way across space (which is mind-bogglingly huge), the galactic President Zaphod Beeblebrox is planning the most amazing thing. Not the unveiling of the infinite improbability drive, but the theft of said device – a ship called the Heart of Gold. He and companion Trillian make off with the device after he shows off a bit for the billions of viewers at home. How are these two events related? Well, in normal reality…they don’t. But thanks to the infinite improbability drive of the Heart of Gold, Zaphod and Trillian pick up two recently spaced hitchhiker’s. Too bad they couldn’t have saved them from the Vogon poetry. In an even more improbable twist, Trillian, Arthur and Zaphod all know each other. This starts a series of truly wild adventures in which we learn the earth was actually a giant computer, dolphins are the second most intelligent animals on earth (beat out only by mice) and that the answer to the ultimate question is 42. Now, I loved this book and the follow up books. I have a soft spot for dry British humor and Douglas Adams is a great mix of witty and weird. But I will admit that these books aren’t for everyone. At any rate, I was poking around a local bookshop a couple weekends ago and found the novelization of the movie. Normally I don’t go for the novelizations of movies because they never quite seem to catch the awesomeness of the movie. 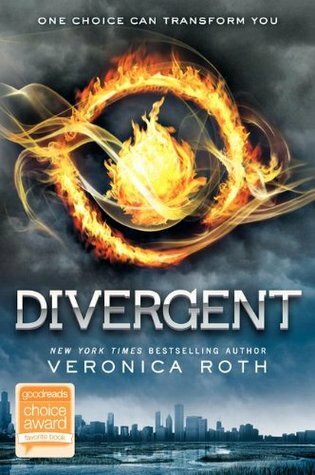 This is not to be confused with good books that are turned into meh or worse movies (Bourne books, I’m looking at you).